I have pulled up this picture at least 3 times today. It is so amazing. I love how Fr Stephen is cradling Isaac, holding him close. Those moments happen so quickly in real life I've never noticed the small details. What a blessing for you to have his baptism captured in this perfect of a picture! What a beautiful picture! Many years! Truly beautiful moment captured perfectly! God is so good!!! Thank you for sharing this! Many years to your baby boy!!! This picture should be in an Orthodox publication. 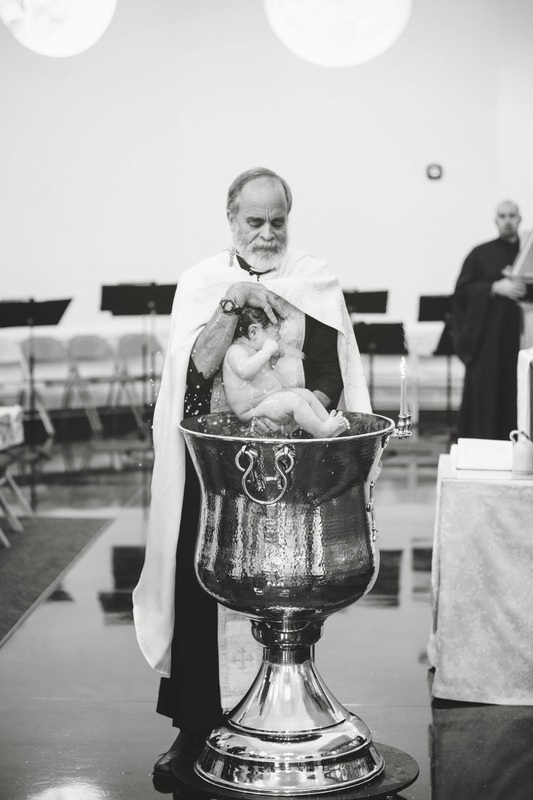 It captures the true beauty and essence of Baptism. Thank you so much for sharing. Such a gorgeous photo! Many years!